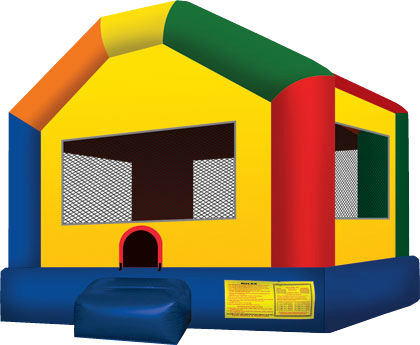 Not only is this Fun House FunJump fun but the colors and its shape makes it even more fun. This jump is literally shaped like a house, it'll make you feel like you're home. The weight limit for this jump is 500lbs. This rental's based price is for 6 hours. If additional rental time is needed we do offer overnight rental which is 25% extra.